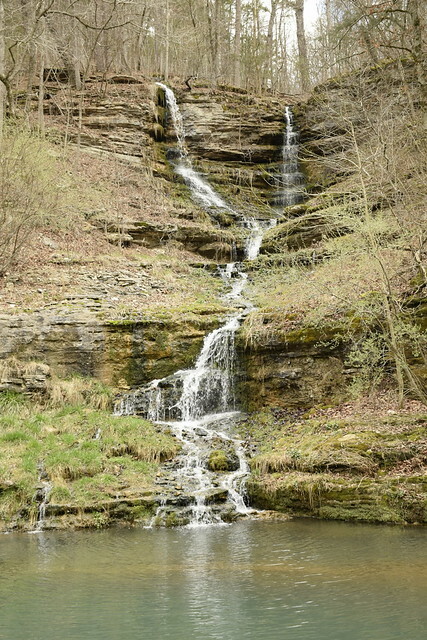 We went on a little Spring Break trip this past weekend to southwest Missouri. Monday we visited the Dogwood Nature Park near Lampe, Missouri. 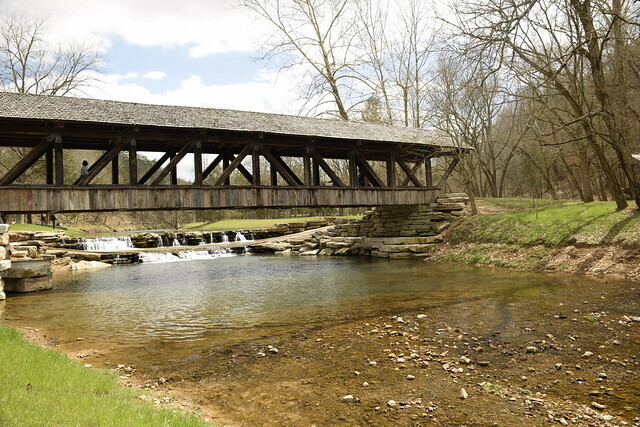 It is a 10,000 acre private preserve owned and operated by the nonprofit Dogwood Canyon Foundation. 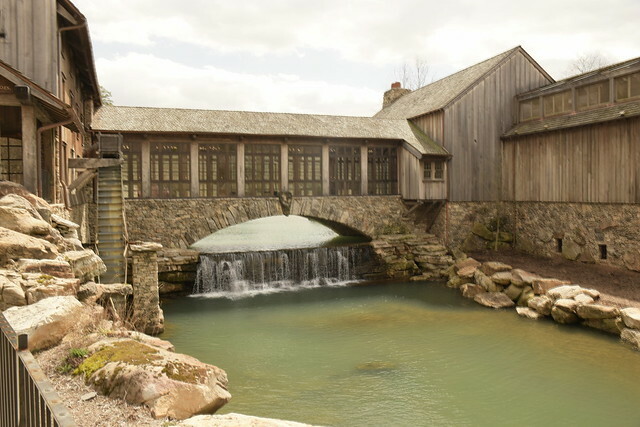 The land was originally acquired by Johnny Morris, owner of the Bass Pro Shops and the branding is very familiar. The park has a very nice, affordable restaurant, wildlife museum, and a gift shop. 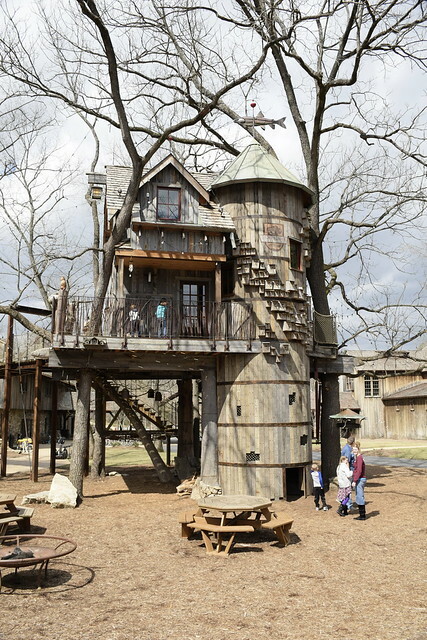 The Park has a beautiful tree house built by some famous television tree house guy. 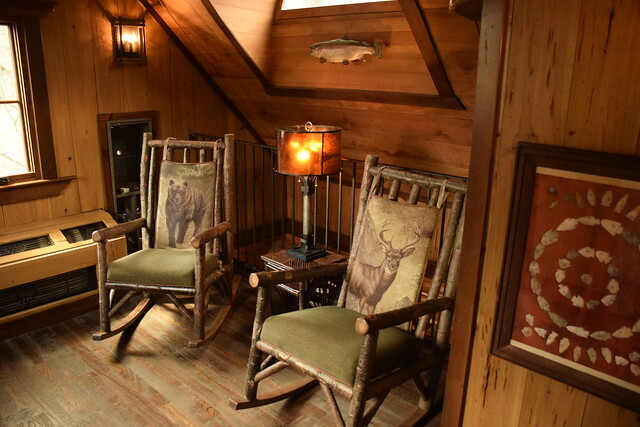 It is nice, very cozy with two levels, a deck and would be a perfect place to sit and read and get away from it all. What is about a treehouse that is so peaceful? 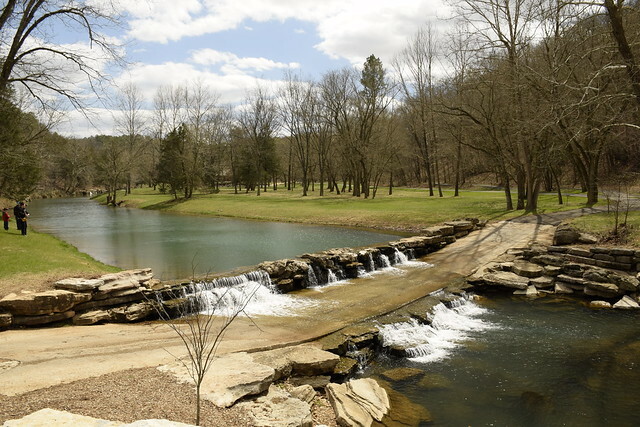 The park offers walking, bicycling, tram tours, segway tours, trout fishing, and horseback riding. They even have a wedding chapel. They don’t have any accommodations or camping. Do your research before you show up. It costs $10 per person to enter which gets you access to the restaurant, museum, and gift shop and a short trail. If you want to go walking on into the canyon it will cost you and another $10 per person. Personally, I think it is worth it, but I understand others may differ. The park has about 10,000 acres organized up and down a canyon with a nice stream that has a lot of waterfalls feeding it. The water is crystal clear and you can see lots of big fat trout swimming around. For a fee you can go fly fishing on the property. Apparently the best spot is right behind a wedding chapel. The stream is dammed up behind a series of weirs. The water pools up behind the weirs and spills down into the next pool. Bring your camera, there are lots of opportunities for photos. The trail is paved so I don’t know if you can really call it a hike or not but at least it is all weather. There a few side trails that are dirt but we didn’t take them. There are several waterfalls coming off the canyon into the stream. They are really beautiful. I think the walking trail is about six miles out and back. We didn’t get quite to the end but close and turned back. It is uphill going into the canyon and downhill coming out so the second half was a lot easier than going in. So are walk/hike was about 5.6 miles and we went a steady 20 minutes per mile including taking lots of photos and stopping to look at the sights. We finished up with a nice meal at the restaurant on site. It was a great family outing. 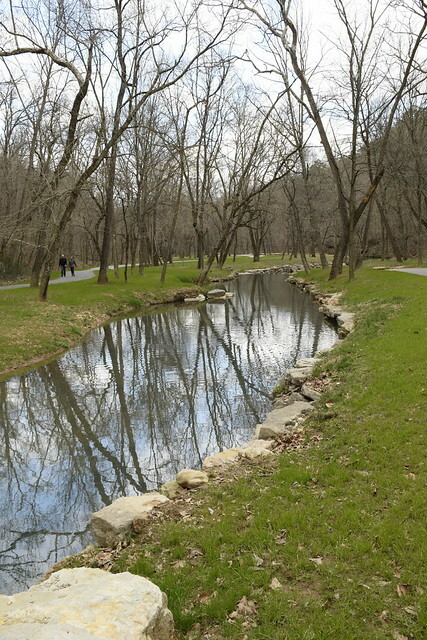 This entry was posted in Skywatch Friday and tagged Dogwood Canyon Nature Park, Missouri, Skywatch Friday, Spring Break on March 20, 2018 by Alan Bates.